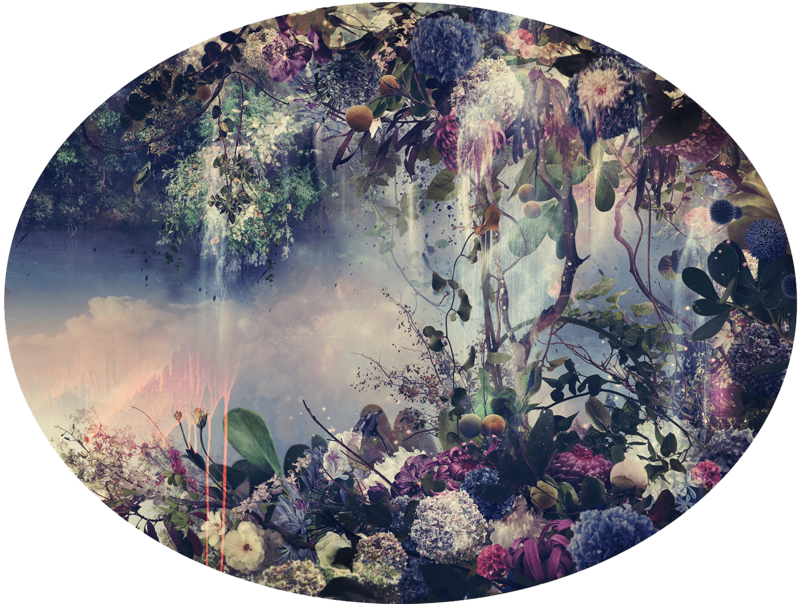 Ysabel Lemay’s ovular and colorful works stood out markedly on the walls in Catherine Edelman’s booth. The works are inventive photo-illustrations of vivid fantasy/nature scenes she defines as “hypercollage,” and curiously refers to with the acronym, “W.O.W (Wonderful Other Worlds),” in her biography. The cartoonish rendering and fantastical imagery recalls the oeuvre of Maggie Taylor. And while the floral and avian themes dip their toes into kitsch territory, the exceptional craft required to produce these works and their aesthetic energy defines Lemay’s work as a rare bird in the contemporary photography scene. Hydra, 2017. 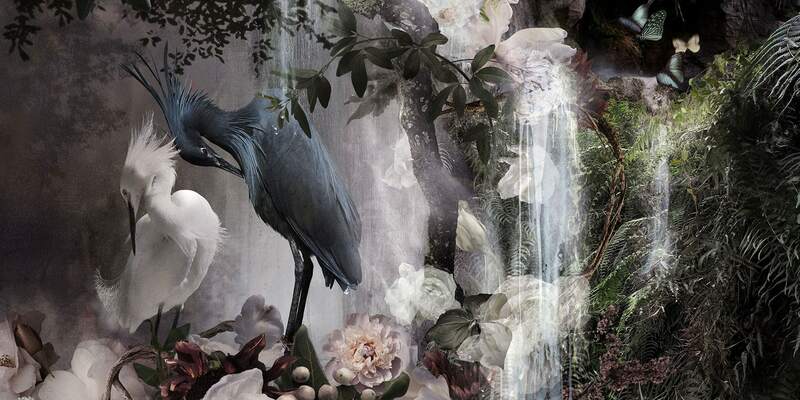 Pigment print, 36 x 48.” © Ysabel LeMay / courtesy Catherine Edelman Gallery, Chicago.